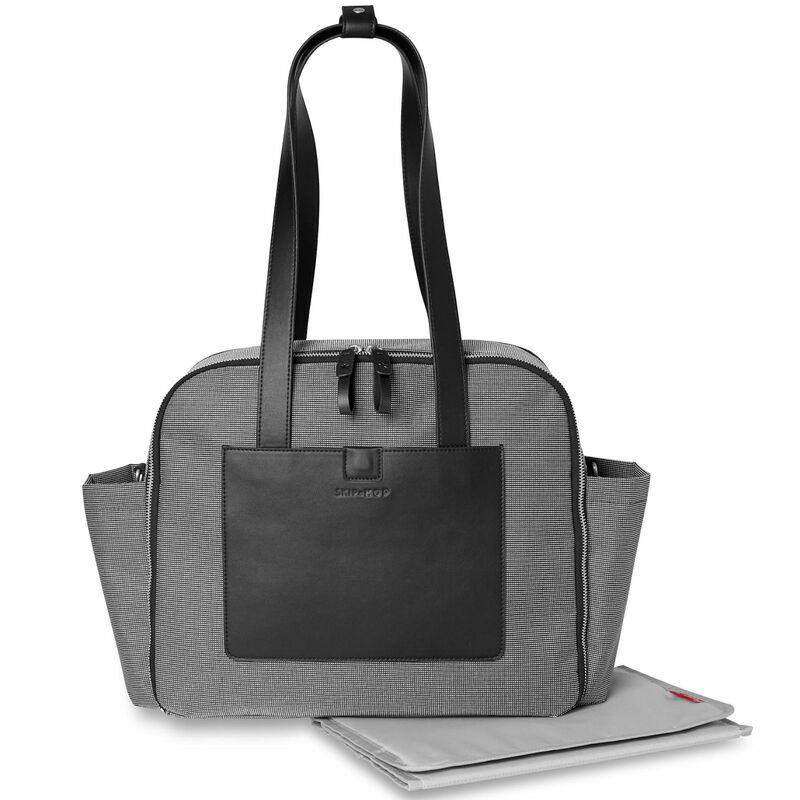 The Madison Square Tote from Skip Hop provides a stylish and lightweight changing bag with a modern look. 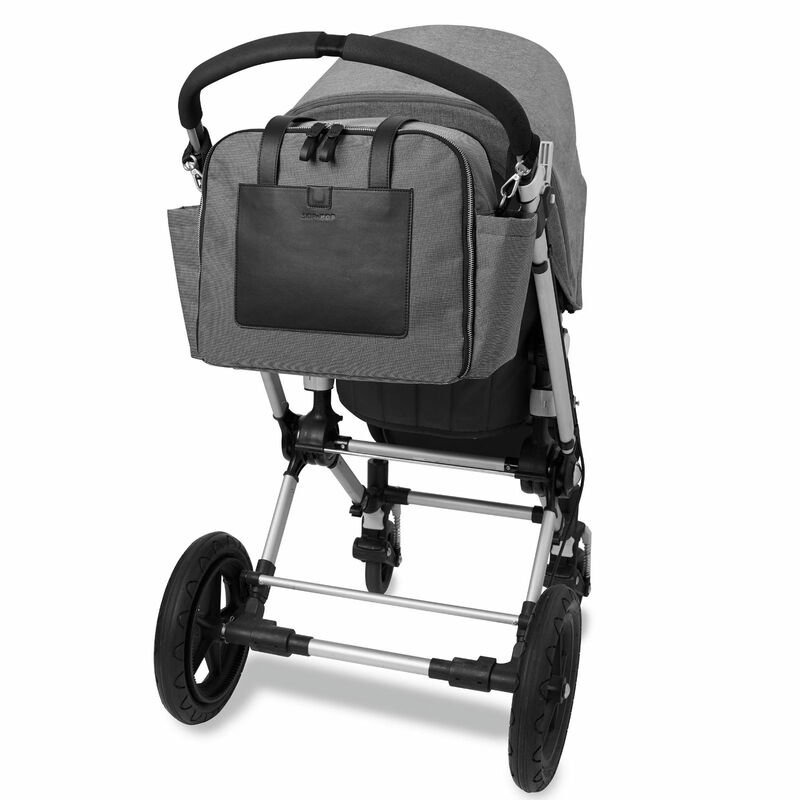 Complete with padded changing mat the Madison features over the shoulder straps which can easily be attached to your pushchair to keep hands free. 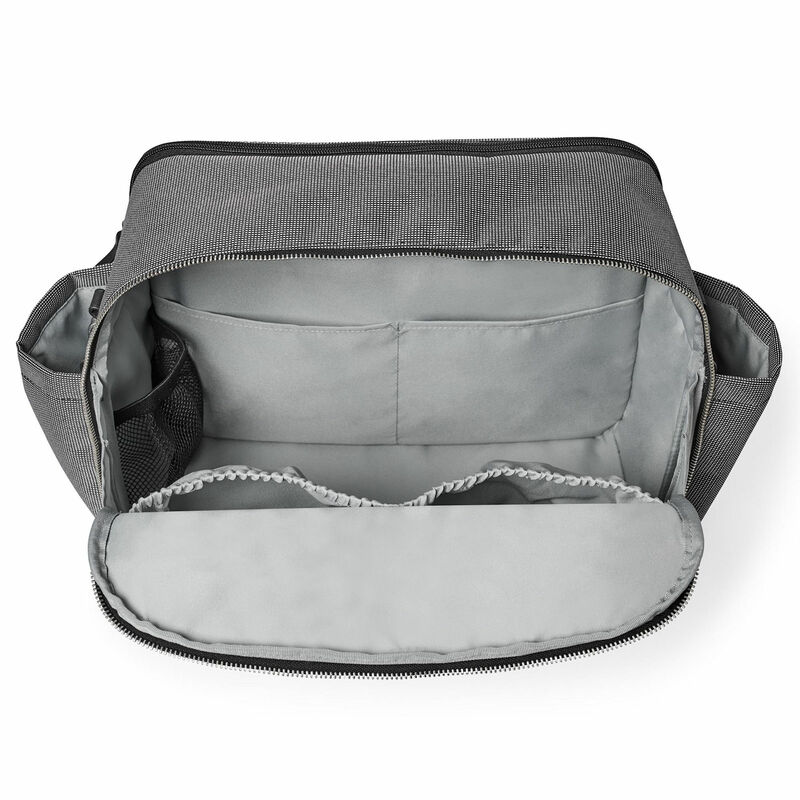 With 10 storage pockets including front pocket with magnetic closure, a back zipped pocket and 2 insulated bottle pockets this tote is perfect for keeping your little ones essential items close to hand.